Wind energy is the driving force of the transition from non-renewable to sustainable energy. With over 25,000 onshore wind turbines and 41,651 megawatts of installed capacity (as of December 2015), it has evolved from a niche to today’s leading renewable energy technology. 25,000 wind turbines must be monitored, evaluated, inspected, maintained and repaired. For these kind of services you can rely on VERTEC Solutions. 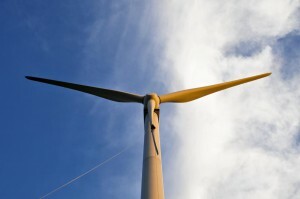 VERTEC Solutions specializes in services for wind turbines using rope access and other techniques. 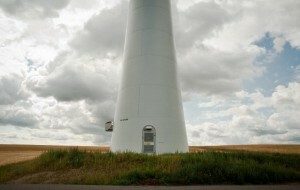 Our focus lies particularly on the heart of the wind turbine, the rotor. 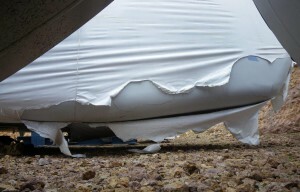 We offer extensive knowledge on rotor blade maintainance through many years of work experience in rotor blade services. Rotor blade inspections, rotor blade repairs and the installation of aerodynamic components are part of our core business. In addition, we also offer services for towers and nacelles. Cleaning of indoor and outdoor areas, inspections and repairs of lattice boom, steel and hybrid towers will also be carried out by experienced VERTEC technicians – short downtimes guaranteed. The use of rope access techniques allows us also to act very flexible in the assembly or disassembly of various system components. We can offer you support in special areas, or take over complex projects. Contact us. Inspection of fall protection systems, service lifts, lifting equipment, PPE, emergency equipment etc. Our services of wind turbines, we conduct both on- and offshore. You want to learn more about our offshore services, click here.